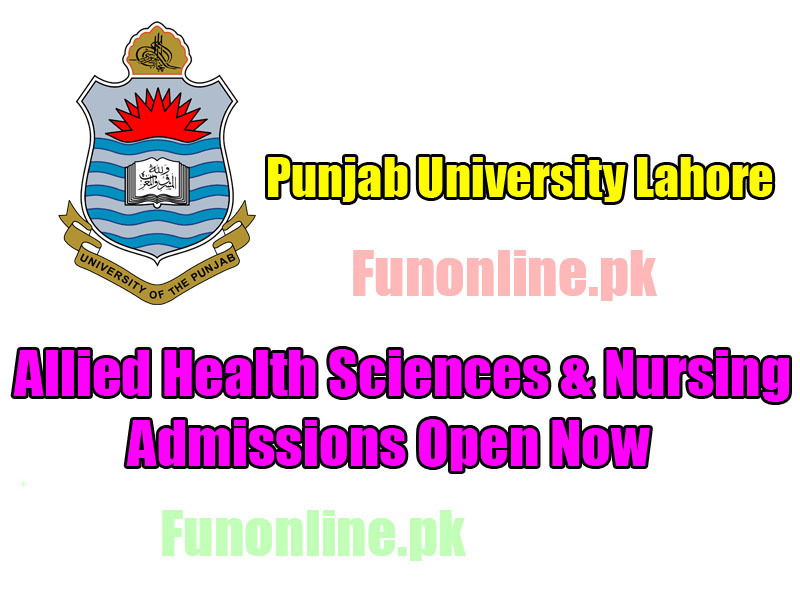 Punjab university PU Faculty of health Sciences have open admission in their department. Admissions open now in Allied Health Sciences AHS and Nursing At university of the Punjab Lahore For Session 2019-2024. Punjab University PU open admission now in Doctor Of Physiotherapy (DPT), Orthotics & Prosthetics (BS Hons), BS Hons in Medical Lab Technology, BS Honors in Cardiac Perfusion Technology, BS hons in Imaging Technology, BS hons in Operation Theator Technology (OT Tech), BS Hons in Anesthesia Technology, BS hons in Dental Technology, BS-N hons Nursing, BS hons Optometry, B.sc in Physician Assistant, B.sc (N) in Nursing. All programs are self supporting, however, 20% students will be offer 50% scholarships on academic performeance and Need basis. University of the Punjab is providing the best quality education to the student wants to accuire knowledge. University have almost all the department it in and every department opens admission once a year and semester system subjects admission open twice a year. PU also have medical department in it and they offer below programs on merit basis. PU DPT admissions 2019 now open on merit basis. PU nursing admissions 2019 last date is October 2019. PU dental technology admissions interview date is and October 2019. PU medical lab technology program admissions 2019 and its test date is October 2019. Age Limit: Less than 20 years on closing Date of admission. Age Limit: Iess than 23 years on closing date of admission. Application forms arc available at office of the Dean, Faculty of Health Sciences. Room No. 01. Centre for Undergraduate Studies, University of the Punjab. Quaid-i-Azam Campus. Lahore.